BGA Corvette Club is on Facebook! Welcome to the home of corvette! 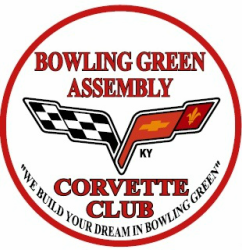 Bowling Green Assembly Corvette Club inc.
"We Build Your Dream in Bowling Green!" Thursday, August 30th, 5:00 p.m.
Thursday, September 13, 5:00 p.m. The Bowling Green Assembly Corvette Club Inc. is a 501C3 (ID# 462893173) tax deductible Corporation. We are very proud of the charity work we do in the community and were honored with being voted a Bowling Green Home Town Hero in 2016. Fundraising from our 2017 car show, with the help of our sponsors, we were able to contribute over $25,000 to our local community. 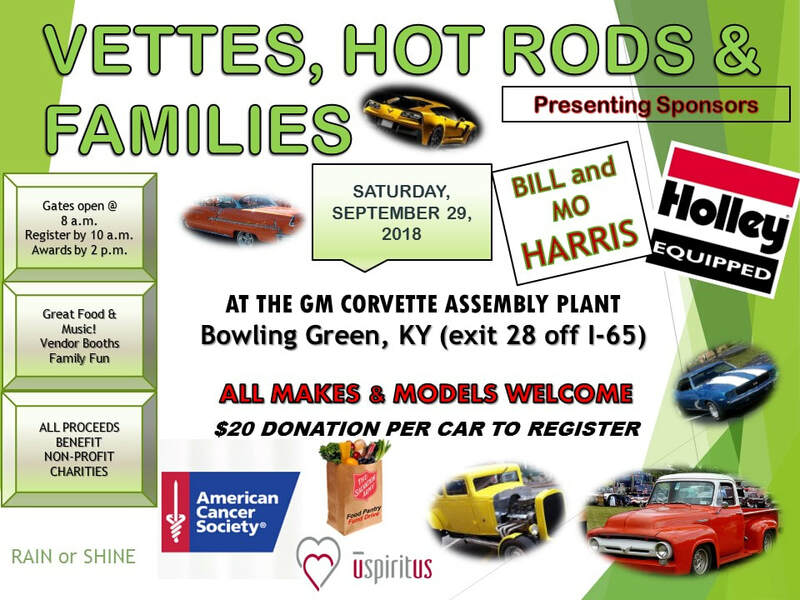 We are asking for your help to raise money for the 2018 Vettes, Hot Rods, and Families annual car show to support the American Cancer Society, Salvation Army Food Bank, and UspiritUS. All 501C3 charities. Please go to the Charity Car Show tab to become a sponsor or you use the donate button to help support your local charities.